Happy July 4th to our customers, partners and friends. 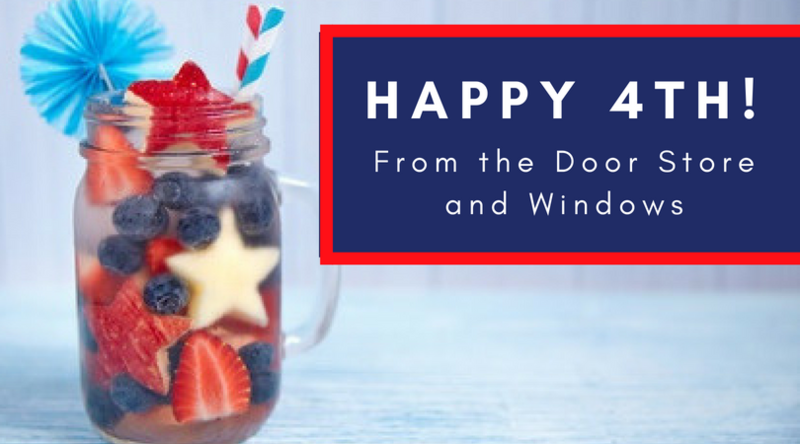 We wish you a great day of grilling out, eating apple pie, splashing in the pool and lighting sparklers. 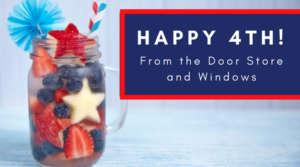 The Door Store and Windows will be closed on Wednesday, July 4th but open during our regular hours the remainder of the week. We’d love to see you in our showroom at 4625 Shelbyville Road. https://doorstoreandwindows.com/wp-content/uploads/2018/06/July-4.png 450 810 Shane Shaps https://doorstoreandwindows.com/wp-content/uploads/2017/11/Transparency-Logo-2-300x181.png Shane Shaps2018-06-29 18:58:362018-06-29 19:00:37Happy Independence Day! The typical home can lose more than 30% of its heat through bad windows (from the Department of Energy). Summer does not change this fact. Remember the cold drafts that you felt any time you moved near your windows last winter? They are still there…just warmer and less noticeable in the summer. But, that cool air you’re pumping through your home to combat the high temperatures outside, guess where it’s going? Yep, right out the old windows. They are simply no longer energy-efficient. If you select new, high quality, energy-efficient windows, it is possible to see a significant savings in your energy bills. Replacement windows with energy-efficient glass (like insulated glass with Low-E coating) can drastically reduce the movement of hot and cold air in and out of your home all year. With better control over this transfer of air, you can then better manage the energy usage and comfort level in your home. In addition Low-E coatings on glass actually radiates heat and harmful UV rays away from your home, much like aluminum foil works in the oven. This effect allows your home to feel more comfortable and your furniture, fabrics, and flooring to enjoy protection from the harmful rays. When your home feels more comfortable you are using less energy, which will be reflected in your gas and electric bills. In addition, protection from harmful UV rays, means less replacement of dull, worn-out furnishings. Is there film or moisture between the panes of glass? If so, that means there has been seal failure and the glass has lost its effectiveness in insulating. Is there fading in the flooring or furniture around your windows? This indicates that the sun’s rays are harming these items. Are they in bad condition? Do you have rotting trim around your windows, sticking or broken frames? It may be time to replace the windows for functional purposes. Are they simply outdated? Renovating your home and the old windows simply do not look right? Wish to update to a more modern look? New windows can help turn your home into a show-stopper. Do you wish to restore architectural accuracy? The wrong window can drastically affect the overall look of a home, particularly in some cases of historic homes. If you wish to restore architectural accuracy to your home, while updating your windows turn to experts who understand the nuances of maintaining architectural accuracy. Does all of this sound a bit overwhelming? No worries. Our Louisville area window and door experts can help you determine the right windows and glass to use for your situation. 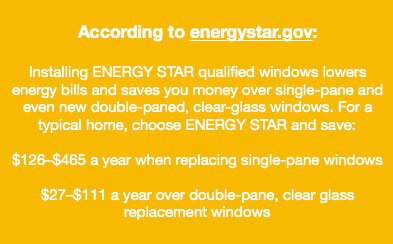 They can even help determine if replacing your windows in stages makes sense for your home and budget. Give us a call to get started. Interested in reading some more content from us? We wrote a blog about trendy dark interior windows we think you would enjoy! Most locals know that Old Louisville is full of fantastic architecture and beautiful older homes. What many may not know is that there are some of the most beautiful private gardens in this area as well. This weekend you are able to tour several of these incredible gardens and outdoor spaces in The 25th Annual Old Louisville Hidden Treasures Garden Tour. One of our passions is helping to preserve, protect and refresh our area’s historic homes. All proceeds from this event will be used to preserve and improve this historic area in our community and we are thrilled to be a part of the event! As a special treat, four of the gardens open this year have never before been open to the public! The entire route is walkable, and begins at the Conrad-Caldwell House Museum where you will find vendor tables, auctions and other items nearby. We hear that a few of the carriage houses will also be open for tours. Worried about getting over heated? We’ve got you covered! This year The Door Store and Windows are the event “Fan Sponsors”, which means we are contributing a hand fan. This fan is your ticket into each garden. You’ll want to hold onto it, because it will also offer free admission to the Conrad-Caldwell Museum at a later date.